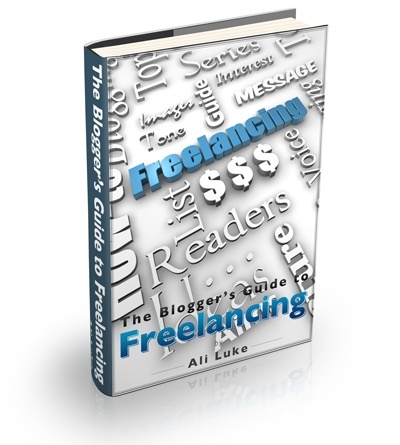 Blogger’s Guide to Freelancing Launched! I’ve been working on an updated and expanded version of my most popular product, the Staff Blogging Course. The information in it was solid, but I wanted to reformat it (into an ebook, instead of a bunch of separate PDFs) and add in some extra chapters to cover some common questions – like marketing yourself through your website and Twitter. I also gave it a new name, and changed the guarantee so that you now have six months to try it out (and get a no-hassle refund if you’re not happy). And I’m thrilled to announce that The Blogger’s Guide to Freelancing is now available. If the title sounds a bit familiar, that’s because I’m making it a companion ebook to The Blogger’s Guide to Effective Writing. Both ebooks are $29 and if you buy one, you’ll get a $10 discount code for the other. You can find out all about it over on the brand new, super-shiny Blogger’s Guides website. I was reading your E-book this moring “Quit Your Day Job” at 3 am this morning because I couldn’t sleep, and now this surprise! Hi Zac, have sent again, both via email and through ejunkie’s system! Let me know if it still doesn’t get through…. Don’t you just love the internet … it’s great when it *works*!